100% cow grain leather boot. Elasticized side panels with iconic stripe print. Pull on design with back quarter pull tab for easy access. 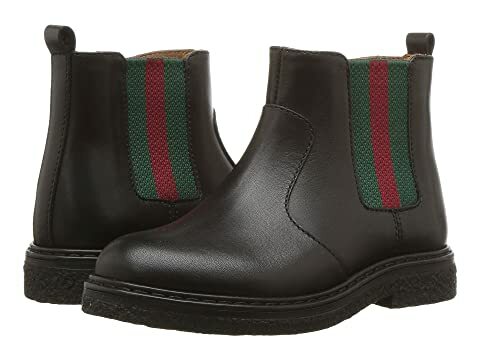 We can't currently find any similar items for the Leather Boot w/ Web (Toddler) by Gucci Kids. Sorry!